Common Mistakes that many Newbie Cleansers fall victim to. Fortunately for those on Facebook, those questions are quickly answered by the helpful community. And fortunately for you, I am going to tell you right now what those Common Mistakes are, and more importantly how you can avoid them. So here we go, these are the absolute top most Common Mistakes that cause 98% of the reasons why people fail to complete The Master Cleanse. There are a few pitfalls to beware of when doing The Master Cleanse. The most common Master Cleanse mistakes, while understandable, are avoidable. Experience will help to identify and eliminate the problem areas that people often fall into when doing the Master Cleanse for the first time. Many Master Cleanse mistakes revolve around the preparation of the ingredients, materials and equipment needed during the cleanse. All are avoidable, but don’t worry if you find yourself making them; every time we try something new, there is a learning curve. By the time you are done your first successful Master Cleanse experience, you will be able to post your comments and communicate your results to help new first-timers. If you have anything to contribute to this list, please provide it in the comments section at the bottom of the page. To the right, there is a list you can click on in order to jump to the part of the page dealing with each specific common mistake. 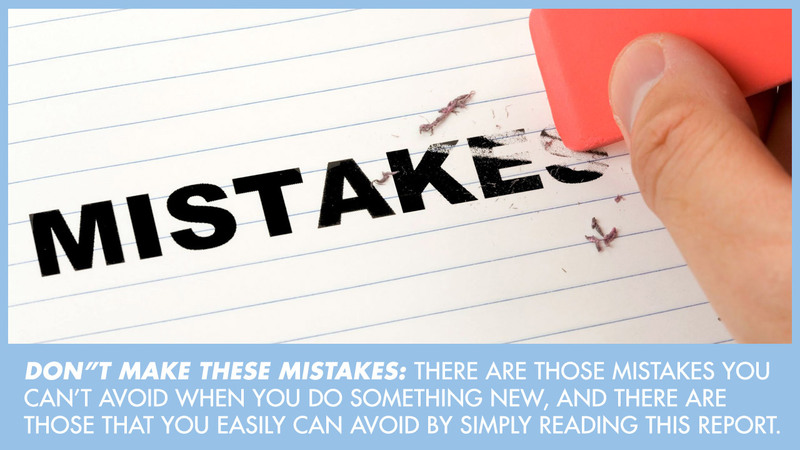 These mistakes are common, but keep these tips in mind to reduce your chances of making them, and increase your chances of a smooth, successful experience. The misconceptions listed here are simply unfounded beliefs held by people, usually instilled by an ignorant population, parents, friends and rumors. Our lives are filled with these misconceptions, sometimes known as wives’ tales. Master Cleanse is a great opportunity to uncover your belief system that is linked to food, eating and many other concepts. Some of those beliefs may be limiting and even based on old, outdated information or just not enough information. I see this cleanse as an excellent opportunity to learn about the way our bodies function and to get in tune with their natural rhythms. I have been moderating our Master Cleanse FaceBook Page for a couple of years now, and it is amazing to see how many people go on this Cleanse after they have spent a few minutes googling the recipe. It is very important that you understand all the Master Cleanse ingredients as well as the detoxing process that takes place once you start the Cleanse. We have put together this report so you could prevent many common mistakes and prepare mentally and emotionally for this amazing journey. It will greatly add to your successful completion of this cleanse and to creating as much of a pleasant, peaceful journey to healthier you as possible. It is important to understand the different kind of cravings we have. It is true that there is a physical desire to eat, an instinct as strong as flight from danger or procreation. What isn’t necessarily true, however, is that every sensation of hunger is related to that life-or-death instinct. Psychological cravings can be a part of our response. As we age, we begin to associate good or bad situations with eating. These associations — situations, smells, colors — are attached to emotions (good and bad), and then to eating. When scenarios arise that carry these messages, we feel a craving to eat, in the manner of Pavlov’s Dog. In fact, almost all hunger pangs or cravings are psychological. You should not, however, ignore true hunger, which is difficult to describe other than to say: you’ll know it when you feel it. As you progress on the Cleanse, you will understand more clearly your limits and the messages your body is sending — which ones are real, and which ones make you eat with the fridge door open in your underwear at 11 pm because your girlfriend just hung up on you. Recommended Resources to Learn about Your Cravings and How to Overcome them. Women Food and God by Gennen Roth : After three decades of studying, teaching and writing about our compulsions with food, bestselling author Geneen Roth adds a powerful new dimension to her work in Women Food and God. She begins with her most basic concept: The way you eat is inseparable from your core beliefs about being alive. Your relationship with food is an exact mirror of your feelings about love, fear, anger, meaning, transformation and, yes, even God. Don’t be cheap or lazy here. There is PURE, unrefined, maple syrup available somewhere nearby. The real stuff contains all the nutrients natural to the product, the “blood” of a tree. These nutrients are used directly by your body, and are combined and converted with the nutrients and vitamins from the cayenne and lemon juice to provide your essential requirements. The Darker the Maple Syrup the better. You can’t use table syrup flavoured with Maple. All natural forms of Maple Syrup are acceptable, but do your best to find the highest quality you can. The darker grades have more nutrients. The first harvest takes syrup out of the tree that was stored all winter. Later harvests are freshly produced from the nutrients in the soil. During the winter, the stored syrup will lose minerals over time. To learn more about all the specific qualities of maple syrup and its approved substitutes, please read our article on this topic. This happens easier than you would think, especially if you are being strict and only using organic lemons. Many organic stores are closed on Saturday or Sunday. And sometimes there is no store open at all. If you find yourself without lemons, just drink the maple syrup. If you are out of both, and are feeling low on energy, find a natural, sugar-based liquid. You want to treat your body like a living IV (intravenous). Just get some calories in there without disturbing your resting system. You may think a little cheating doesn’t hurt. Well, it does, if it causes you to fail. Once you get your mind/body thinking more about other foods, your desires will increase. Nothing with make that happen more quickly than eating other foods. This cleanse is a difficult challenge, and I’ll admit to a few tricks. On days when it feels more difficult, I drink a herbal tea in the evening with a little maple syrup in it. You are allowed to drink any herbal, decaf tea (organic if possible) to soothe your sweet tooth. A small glass of pure, freshly squeezed orange juice can do wonders for the psyche. Just remember to wash it down with a lot of water. Everyone Poops.I love the name of that book. And everyone must poop. You eliminate toxins by having bowel movements. Make it happen everyday, or at least every 18 hours. I would do it every morning. I like the sea salt internal bath (see instructions). You can alternate evening one day, miss a day and go morning next, then miss a day and go evening next. Make a habit out of seeing how much cleaner your movements become every day. Most information out there ends at this sentence: Make sure you don’t break your fast too early. Hello? Not enough information. And others have the nerve to add: “Or serious injury can occur.” Thanks for that! It is probably common sense that on day 10 of your cleanse you don’t eat a Veggie sandwich from Burger King — although I witnessed a friend do just that. He was fine, however; maybe a little constipated for a few days. I also don’t have much more information on this, but please post comments with your experiences. This area of the Cleanse may be construed as medical advice. You should note, I KNOW nothing more than the understanding my experience provides. However, I can at least safely state this: just ease yourself back in. If you have to eat NOW, then choose something smart like an orange. Be careful about constipation. Moving back to solids will require a lot of water to keep you smooth. These go hand in hand. You got to do your research, get a book or get some research from a valuable and reliable source. And understand what you’re getting into. And choose a right time, not choosing a right time can easily caused you to fail in itself. If you choose to cleanse in a day or a week before a family reunion or Easter holidays. Also choosing when to start during a week is critical. You want to accommodate your schedules to weekends, to work days probably. It’s really easy to let the morning slip away without beginning to make your Master Cleanse. The next thing you know an hour or two goes by and the shakes sneak up on you. You know when you get irritable and angry when you’re not eating or have been eating? You get that weak feeling happens quicker, faster and more dramatically on TMC. You will not want to overcome than a more emotional. You will easily want just to grab a carrot or a cheese burger or whatever you can to make that feeling go away. Make your Lemonade as you need it. You have a feeling of lack of energy, some physical-psychological hunger and cravings. Make your glass of Lemonade. Drink it on the spot, drink some water after it. Make that Lemon fresh. Freshness of the enzymes critical to the cleanse. The next common mistake is very similar to the previous one. When we say 6-18 glasses, 6 is on the low host side and you really should start at 12 then scaled down or up from there. You want to span them throughout the day so that you can drink exactly when you have those hunger moments. You must drink enough during the day. You will lose weight, don’t focus on losing weight, focus on staying and feeling say cheated or full or like you have enough energy. That’s critical, you better off to lose one last pound and complete the cleanse than fail the cleanse and you’re not losing pounds. Now, we are not chewing food, we are not eating fibre, so we need to make a bowel movement happen to have the daily detox. And the rinse cycle move toxins out of our body. If you are detoxing daily with the bowel movement, all that is building up in you and you will have a toxic reaction. Now, you may have a toxic reaction anyway, a detox symptom as the process of those detox toxins moving out of you but don’t tempt faith. Make you are having a movement each day. Make sure do your laxative at night which is mandatory and your salt water flush which is optional in the morning. Avoid going out without enough lemonade to last you for your trip. Whether it’s to work or run through the grocery store. You may think you have a short trip to make and therefore enough pack any lemonade that can be a mistake. Next thing you know, you’re at the grocery store and you bought a bunch of grocery for the family then you are in traffic and stuck and there’s a box of cracker sitting beside you. It is very easy to give to that temptation when you have no other options before you. Master Cleanse Mistake 14: Taking advice from the ill-advised, flat-Landers, and fear mongers. Keeping you cleanse to yourself. 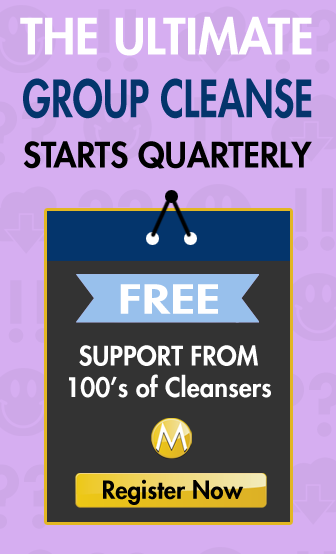 Keep your cleanse to your group of your inner circle. Learn to know who you can trust with what part of your life. That’s one of the important factors of The Master Cleanse really helps you reveal this aspect of your life. Learn to take advice from the people that you align with. Don’t eat, don’t give in or don’t quit. But the point I want to make here is that these psychological and emotional temptations are for me what the Master Cleanse is all about and that is to take the opportunity to be aware of the fact that you will have psychological, emotional or physical detox symptoms. You will have cravings and what is that mean? Discover the patterns; discover the psychological need to go eat when somebody makes you feel bad or discover the emotional reaction that you are having to an event that might cause you to want to go eat. Dig into process and you’ll be in powered by those temptations rather than fearful of them.